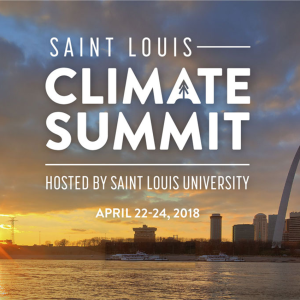 In April of 2018, St. Louis University in Missouri hosted the St. Louis Climate Summit 2018. The Summit brought together distinguished scientists, activist, and academics to discuss the future of impactful climate action. The event was put on in part as a way to honour the call from Pope Francis for world leaders to unite in defence of the health of the planet, as well as to celebrate the bicentennial of the university. 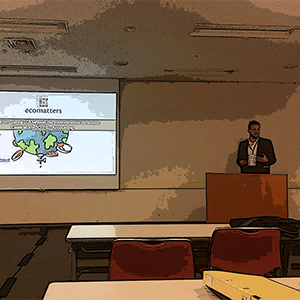 Ecomatters was in attendance at the summit (a decision encouraged by our in-house St. Louis native) as a way to stay abreast of sustainability rhetoric and innovations in other international circles. 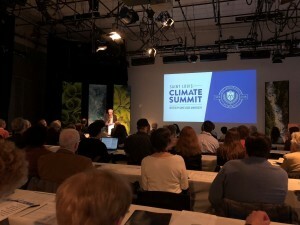 The summit consisted of two and a half days of presentations covering whole earth systems, business perspectives, food security, and education, among others. Many of the messages shared innovative ideas being implemented around the country enhancing sustainable development efforts, and highlighted the importance of collaboration between research and business sectors. 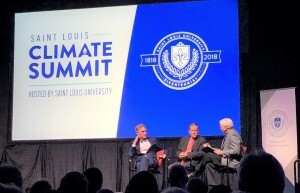 The centrepiece of the summit featured a keynote by Bill Nye, The Science Guy, and Carl Pope, the former Executive Director of the Sierra Club. Both both spoke of the powerful sustainable development transitions already underway and highlighted the challenges that societies still face. The diverse arrangement of discussions made it clear that while societies are facing many new issues, there are a number of positive opportunities that will lead to profitable business development and more productive and healthy societies. The city of St. Louis was a timely location to host such a high-powered meeting of forward thinkers as the city is currently pouring significant effort into sustainable development action. It launched its first official sustainability plan in 2013, lead by Sustainability Director Catharine Werner along with a corresponding action list from then Mayor Francis Slay. These documents were the first to identify greenhouse gas emission reduction targets (80% by 2050), provide support for transportation systems that are less car-dependent, and put forth new regulatory measures like the requirement of a sustainability impact statement for all new city developments. Most recently, the city approved its first two dockless shared bicycle system, LimeBike and Ofo which debuted in April. In addition, many of the city’s businesses are active in the annual St. Louis Green Business Challenge, lead by the EarthWays Center of the Missouri Botanical Garden which educates and encourages businesses to adopt sustainable practices under the guiding theme of achieving a higher level of economic prosperity. Peter Raven, President Emeritus of the Botanical Garden, was also a frequent speaker at the summit and shared his incredible knowledge supporting the importance of addressing climate change. He emphasized the importance of understanding the natural world and gave several insights on how we could be acting more sustainably. St. Louis is in a position to pull forward as a Midwest leader in best-practice sustainable action. Increased attention is being given to sustainable action and consumer demand from younger generations for more environmentally responsible products is developing. It is becoming increasingly advantageous for St. Louis’s local businesses and industries to jump on this growing sustainability trend. 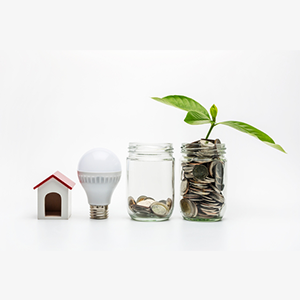 Businesses will stand to benefit from the new business opportunities and improved risk mitigation strategies that come from taking environmental and social impacts into account. 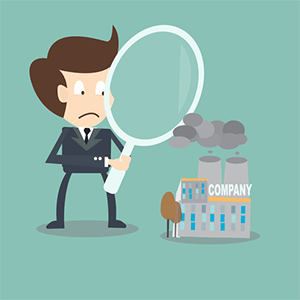 They can start taking action by conducting some basic sustainability assessments to identify general impact hot-spots and committing to emission and/or carbon neutral business operations targets. Here at Ecomatters, with experience in the sustainability business case here in Europe, we are excited to see such a thriving culture of sustainable enthusiasm present in the heart of St. Louis. Continued investment in this direction, along with the proper support, will no doubt lead the city to a higher quality of environmental and social capital. This ultimately means healthier societies and surroundings for everyone.